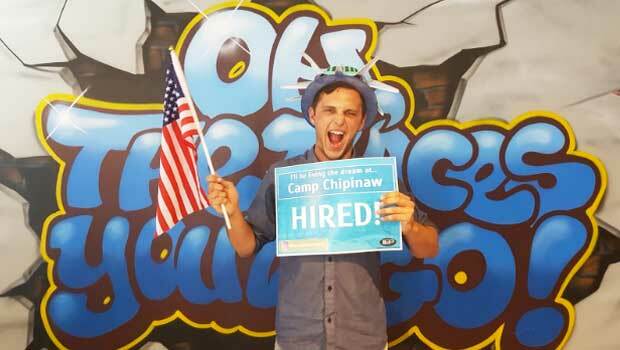 Total happiness after getting hired at Camp Chipinaw at the Auckland fair! 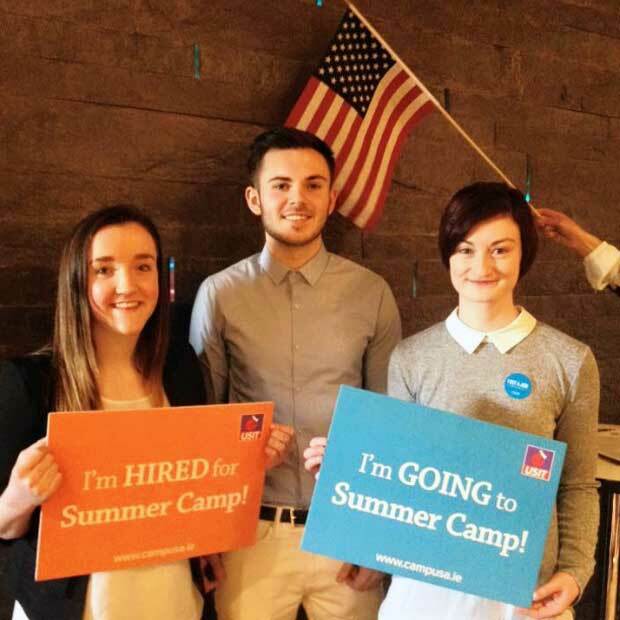 Planning an action-packed summer starts early, and Camp USA kicked off our 2017 by hosting four job fairs in three different countries: New Zealand, Ireland, and Bolivia. The InterExchange team was excited to meet and collaborate with our partners IEP (New Zealand), USIT (Ireland), and Ciudad Mundo (Bolivia). The camp directors loved meeting applicants in-person and interviewed a lot of qualified, energetic people in a short period of time. 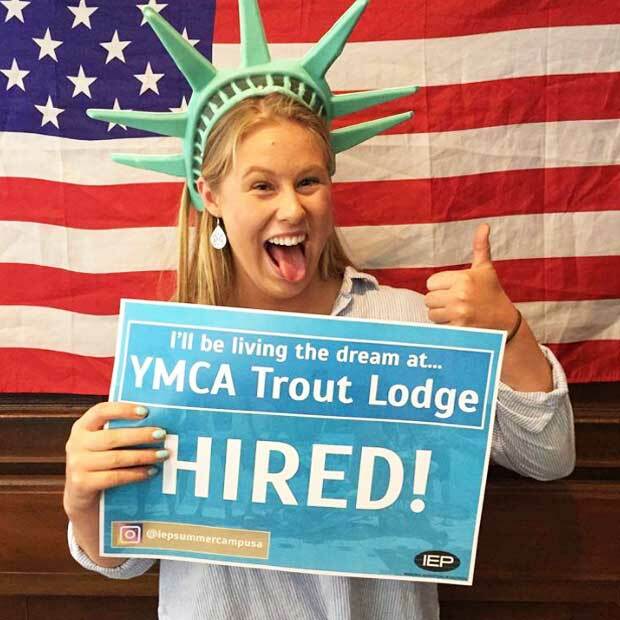 Aria got a job with the YMCA Trout Lodge at the fair in Christchurch! Coordinating interviews across different time zones can get pretty tricky, so hosting a job fair and hiring applicants on the spot made the process convenient and easy for all. Camp directors also had the unique opportunity to see where their staff come from and experience their cultures firsthand. One of the camp directors commented that she would never again ask her staff to complete lifeguard training the day after they arrive to the U.S. after she herself experienced jet lag traveling to the fair! 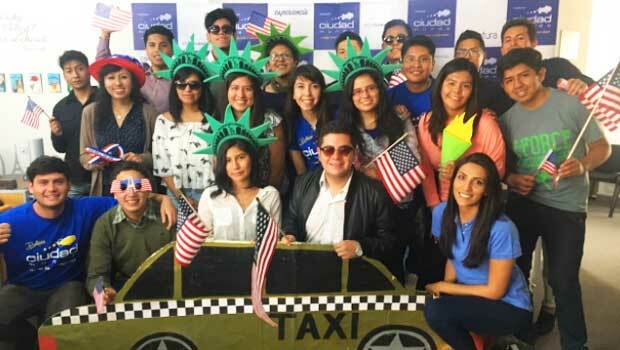 Applicants from Bolivia gather in La Paz to take turns interviewing. 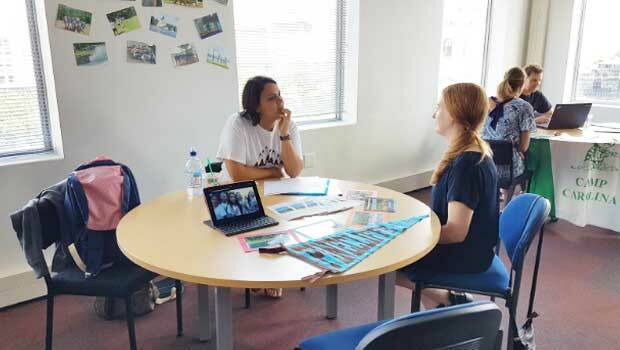 Maja T. from Camp Pinecliffe interviews a Camp USA applicant in Auckland. New Zealand was Camp USA's first stop, and we met with numerous enthusiastic participants in Auckland on January 12 and in Christchurch on January 14. InterExchange partnered with IEP to host the fairs. New Zealanders are in the middle of their summer vacation at this time of year, so we were impressed by the number of committed applicants who lined up for the opportunity to work at a U.S. summer camp! Our camp directors all relished the brief escape from the cold winter weather back in the States as well. Our third fair was held in Dublin, Ireland on January 20, in partnership with USIT. Some of the camps that attended the New Zealand fairs also made the journey to Ireland. This was the first year InterExchange Camp USA hosted a fair in Ireland and we were thrilled to see so many friendly Irish faces! These Irish participants are going to summer camp! 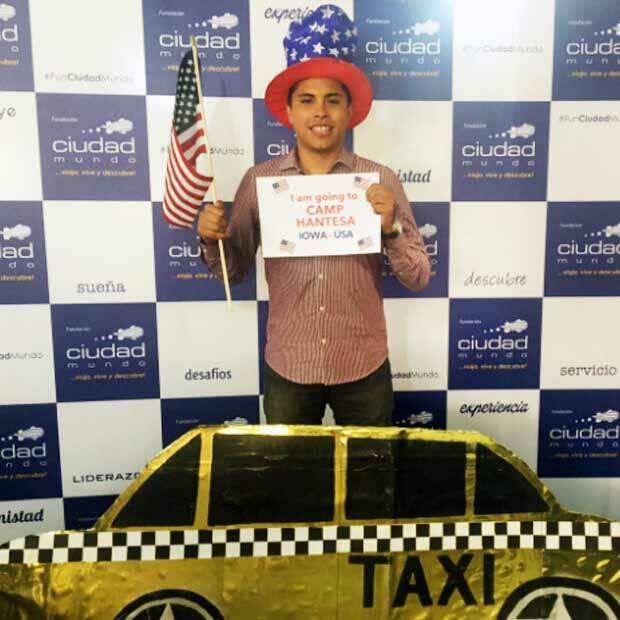 Camp USA partnered with Ciudad Mundo in Bolivia to host the final leg of our job fair tour: a virtual camp fair via Skype on February 16. Camp directors interviewed and offered jobs to our Bolivian participants from the comfort of their own home or office. All our Bolivian applicants had the chance to practice their English and complete at least one interview; many were offered camp jobs for this summer! 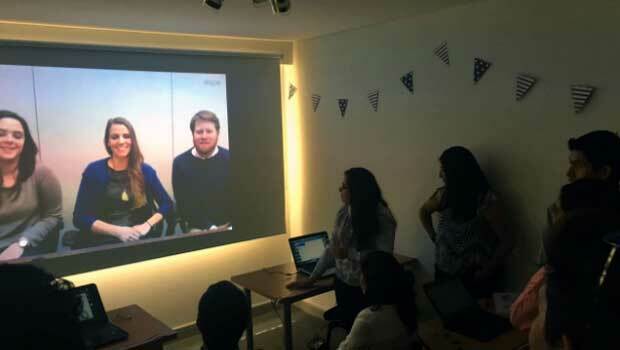 Our team meets the 2017 Bolivian participants virtually from New York. InterExchange Camp USA is committed to helping our J-1 participants have the summer of a lifetime, and for applicants who attended a fair, it was more than just searching for a summer job. Every applicant who came to the fair had an opportunity to practice their interviewing skills, learn about different types of American camps, improve their job applications, connect with their visa sponsor, and discuss travel opportunities in the U.S.
Dante is a happy camper after getting hired at Camp Hantesa! We’re happy to share that almost everyone who attended the fair walked away with a job offer! For the few who didn’t get offers at the fair, we can reassure them that we work with over 150 camps and we’ll work hard to find the right match. Though we're proud of our convenient online matching system, we were really moved by our person-to-person interactions and having real conversations with our participants and our camp directors at the fair. We're very grateful we can offer this experience to our participants and camps!